Find your place in one of California’s finest coastal cities. 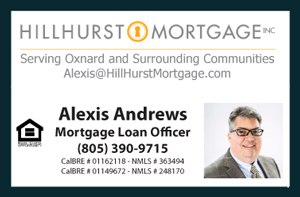 Here are the latest Ventura CA Median Homes for Sale, as of June 6, 2014. The properties listed here include Median Single Family Homes, Houses, Condos, Townhouses, Mobile Homes and Real Estate Listings for Sale in the California city of Ventura in the price bracket of $175,000 and $400,000. Ventura has much to offer; from a simple relaxing walk on the beach while the sun sets to fine dinning in restaurants such as the Watermark on Main St in Downtown Ventura. The city offers unique panoramic views of the ocean and the Channel Islands from many parts of the city. Great adventure is only about a 30-40 minute boat ride away to the Channel Islands where you can snorkel, kayak, or hike the trails on the islands. These Islands are referred by many as the Galapagos of California. Adventure and much more awaits the family and friends in Ventura CA. Single Family HomeSpanish Charmer! Need more space? approx 400s.f updated garage (as per owner) can...Courtesy of Trusted Real Estate Ent.